HomeInstead.com: Learn more about the Alzheimer’s and dementia services provided by the Home Instead Senior Care® network and locate an office near you. MissingSeniorNetwork.com: Collect information about your senior loved one and prepare a list of contacts to alert if that individual becomes lost. If a senior goes missing, use the free service to send your network of friends, family and businesses an alert to be on the lookout for your senior. HelpforAlzheimersFamilies.com: Free Alzheimer’s Disease or Other Dementias CARE: Changing Aging Through Research and Education® family training is available in a classroom setting and online to help family caregivers better understand Alzheimer’s disease and how to help minimize the common behavioral symptoms associated with the disease. Make Your Business Alzheimer’s Friendly: Help educate local businesses about Alzheimer’s disease including simple coping strategies for dealing with common behavioral symptoms associated with Alzheimer’s. 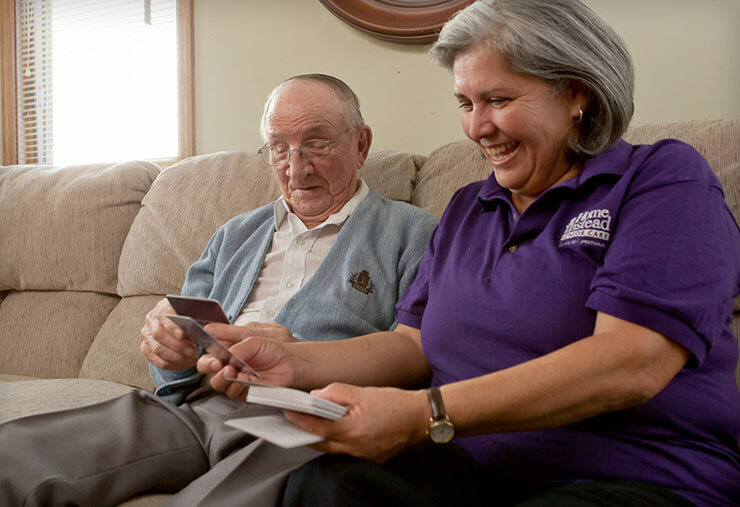 Remember for Alzheimer’s Facebook Page: Connect with a community of more than 270,000 family caregivers of individuals with Alzheimer’s disease for support. Alz.org: The Alzheimer’s Association is the leading voluntary health organization in Alzheimer’s care, support and research. Its mission: eliminate Alzheimer’s disease through the advancement of research; provide and advance care and support to all who are affected by Alzheimer’s; and reduce the risk of dementia through the promotion of brain health. MedicAlert® + Alzheimer’s Association Safe Return®: Learn more about this 24-hour, fee-based nationwide emergency response service for individuals with Alzheimer’s disease or a related dementia who wander or have a medical emergency. Alzheimer’s Association’s Alzheimer’s and Dementia Caregiver Center: For information and resources about early-, middle- and late-stage caregiving. “Confidence to Care” book and related free mobile app: Learn more about how to deal with the behavioral symptoms commonly associated with Alzheimer’s disease. Alzheimers.gov: This is the government’s free information resource about Alzheimer’s disease and related dementias. Here you can find links to authoritative, up-to-date information from agencies and organizations with expertise in these areas. Area Agencies on Aging: AAAs around the nation provide direct support to caregivers, primarily through the National Family Caregiver Support Program (Title III E of the Older Americans Act), which was created in 2000. Services include respite care (temporary supervision of the care recipient to provide rest for the caregiver, which is the most requested service); individual counseling and support groups; caregiver education classes/training; and emergency assistance. AAAs also play a crucial information and referral role, connecting families with local providers who can help them create a caregiving plan, address specific challenges, or identify support services. Caregivers should contact their local AAA to learn more or visit their website. and am interested in educating families on how to deal with a loved one who has developed Alzheimer’s.